In the modern world of the internet, more and more people are starting to write their own websites and personal blogs every single day. While WordPress remains the most popular website creation platform, with over 25% of the internet built on it, other, smaller sites like Blogger are still used by millions of people. If you run a website or a blog on WordPress, you have complete control and ownership of it. While you will be required to pay for your own hosting and domain name, it can be worth it if you like this freedom. In theory, you can do anything you want with your WordPress website. You can edit the code behind your site, and can add any content, plugins, or themes. You can control your SEO efforts when you have a WordPress site. You have to pay to have a WordPress website. Hosting and domain names are not free, and if you want a successful blog, you will probably have to pay for more. WordPress can be complicated and hard to learn. If you neglect your WordPress site, it will suffer. You need to make sure that it is loading fast and that you maintain your SEO efforts. Blogger is basically Google’s equivalent of WordPress. However, it is a much simpler platform which is tough to monetise and which has very limited customizability. A lot of people choose to use Blogger because of its simplicity, but it is tough in that once you have reached the limit of your Blogger site’s functionality, there is nothing else that you can do. Blogger is extremely simple, which makes it great for people who don’t have a lot of web developer experience, or who don’t really know their way around the internet. With Blogger, you can simply get on and write with very little setup required. Blogger is completely free, which is great if you don’t plan on monetising your site. Blogger is very simple. This means that there is a limit to how much you can customise, especially when it comes to the deeper codes and plugins. It is very tough to monetise a Blogger blog. It can be hard to optimise your Blogger blog for search engines. 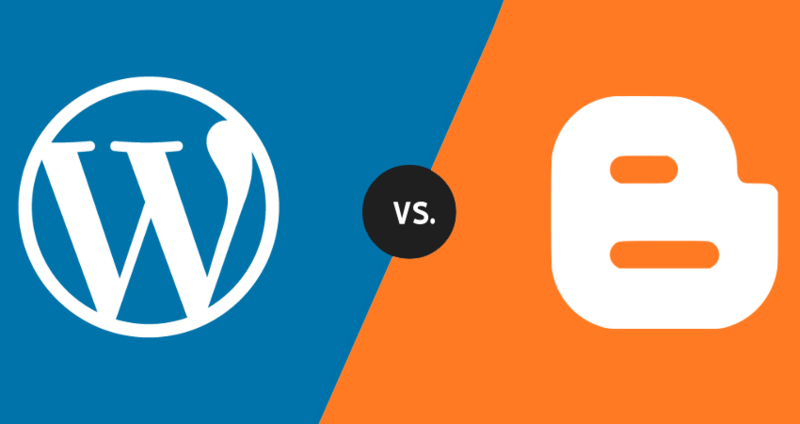 As you can see, Blogger and WordPress.org are actually two very different platforms. Blogger is great if you just want to write, and nothing else. However, WordPress.org is good for people who actually want to build a website, and who have visions of perhaps monetising it in the future using social media or whatever way. Try them both and make your decision based on your needs!